Taking advantage of being in the Shrewsbury area during the day, I took my rods along and headed straight to the River Severn afterwards. The river itself was high and rising but knowing the stretch, I set up in a spot that allowed me to present a bait that wouldn’t be dragged downstream or masked by leaves within minutes of casting out. Unfortunately though, I didn’t catch anything or even get a bite. That’s fishing though, and although you prefer not to have too many fish-less sessions, nevertheless if you get something from being out there in the great outdoors, that’s always a massive positive. The spot I fished has been very kind to me in the past and I’ve landed some good fish from there. I’ve also had blanks as well. That’s specimen angling for you but given the choice it’s something I go for every time. Quality over quantity for me every day of the week. Although I’m not a boxing fan, I did at least look out for the result of the Deontay Wilder v Tyson Fury fight. Even though it was a draw, I was thrilled that the Gypsy King finally ended the very impressive run that the American fighter had put together. Forty straight wins, with thirty nine knock-outs among them, shows what an incredible task it was for Fury. When you take into account his background of mental health history, the fact he put on ten stone and had been out of the ring for so long, it shows just how much character he has. Going down twice – but getting up on both occasions right at the end of the count is a lesson in never giving up. Wilder said that when Fury hit the deck he saw his eyes roll in the back of his head, something he’d witnessed many times before and an experience from which no-one had ever immediately recovered. Yet Fury did. He’s a great source of inspiration, a man that has been to hell and back and yet he’s still standing. He’s had issues that would have sunk most individuals yet he has bounced back. Like Tyson Fury, believe in yourself and believe in God. That was my sermon at Tipton Family Church last weekend. 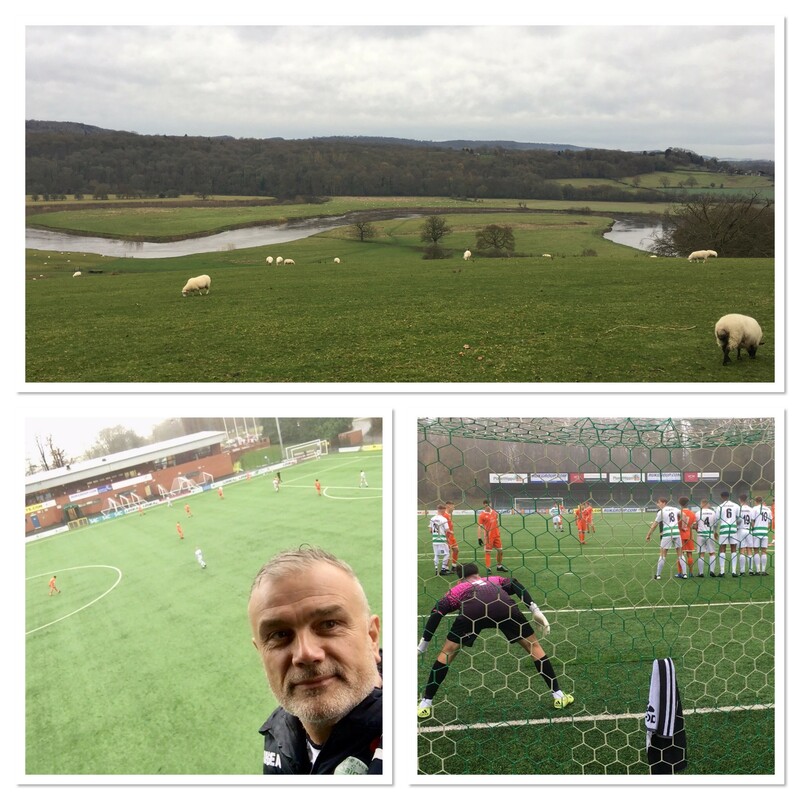 I was looking forward to a visit to Machynlleth FC with The New Saints FC during the week. Although they were formed in the nineteenth century, they have never had floodlights at Cae Glas. Our friendly was to officially launch the opening of the new lights. Unfortunately, the game fell foul of the weather as heavy rain swept across Wales. It is going to be scheduled for early 2019, which isn’t far away now of course, so hopefully I’ll be adding a new venue to my groundhopping list sooner rather than later. I still managed to feed my football bug though, as Shrewsbury Town Under 18s visited Park Hall to play the Performance Phase. It was a depleted TNS team, and although the score was 4-1 to the Shrews, nevertheless they had plenty of chances. The game was my 64th of the season to date, with 31 additions to the list of grounds visited. Visit my groundhopping pages HERE. My journeys to – but not from at the moment as it’s always dark – work always involve keeping my eyes open to see what’s going on beyond the confines of the car itself. As a naturalist you develop your senses, so that although driving safety is never compromised, nevertheless you are able to see the bigger picture. Usually it’s kestrels that I’m watching out for but this time round I spotted just two. The first was in Shropshire off the A5 and the other alongside the A41 in Staffordshire. Staffs/Worcs Canal fishing added kingfisher and grey wagtail to the list, plus on two occasions I saw – and heard – ravens overhead. The first time there were two birds and the second time just the one. They are regulars in that particular spot, which is in Staffordshire. Again when fishing, I saw a tawny owl fly across the track when I drove the car to the main road. Usually heard more than seen, it’s always nice to spot one. After blogging on a daily basis for a while, it’s back to a less regular one for now. There will, of course, be one every Saturday at least, as that’s where it all started. If you’re a blogger, make sure that you are in charge of the relationship. You dictate what goes on not the blog. That way it will always be a pleasure and never a burden. Visit the home page of my website HERE. The embedded posts are from my Facebook page, why not give it a like?